Cross ancestry in "Black Jack's Book". See p.53 of [Hickson, 1872]. Cross and Eveleigh ancestry in [Fuller, 1866] and [Fuller, 1876]. See [Pielou, 1935, pp.190-192] for more on Cross ancestry. Benjamin Cross on p.106 and pp.110-111 of Vol.1. Benjamin Cross on p.308 of Vol.2. 1672 visitations list Benjamin Cross married to Ann Eveleigh, and more Crosse family. mar probably in 1690-93 to John Blennerhassett, "Black Jack" and had issue. 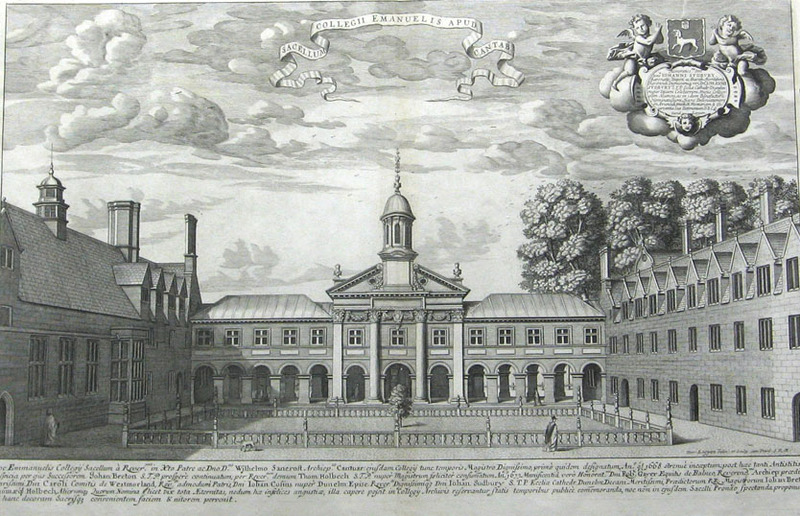 View of Emmanuel College, Cambridge, published 1690. Shows the new Chapel, which was built 1677 (just after Cross' time).